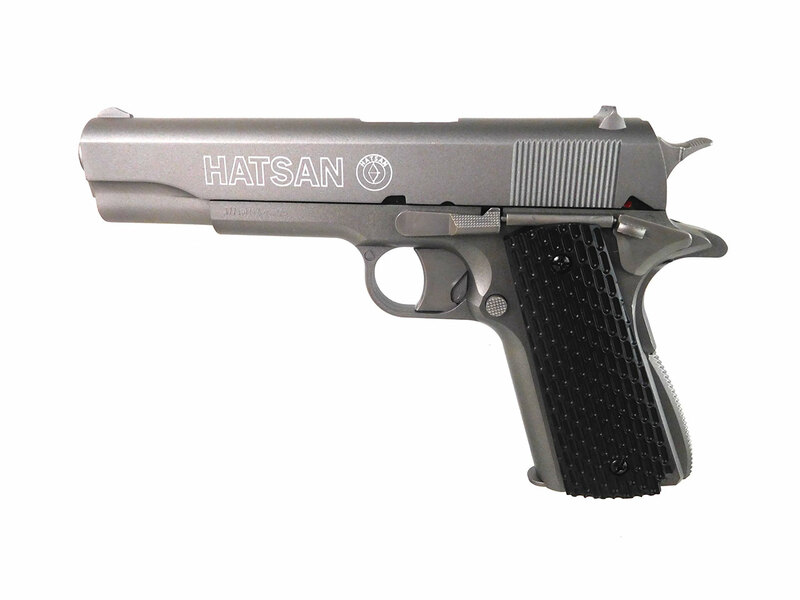 The Hatsan H-1911 is a double action semi-auto CO2 pellet pistol with a rifled steel barrel. 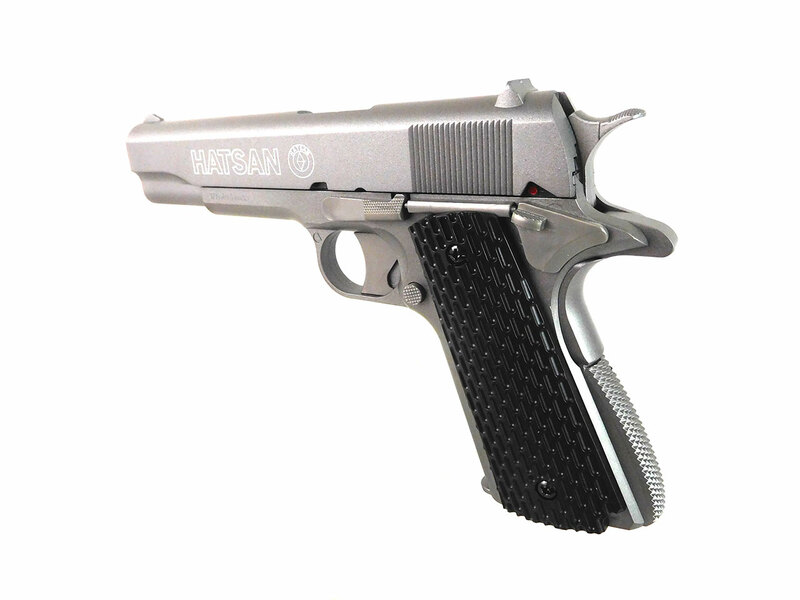 It can hold two 6-round rotary clips for a total of 12 shots. You can get about 60 shots per CO2 cylinder. Box and owner’s manual included. 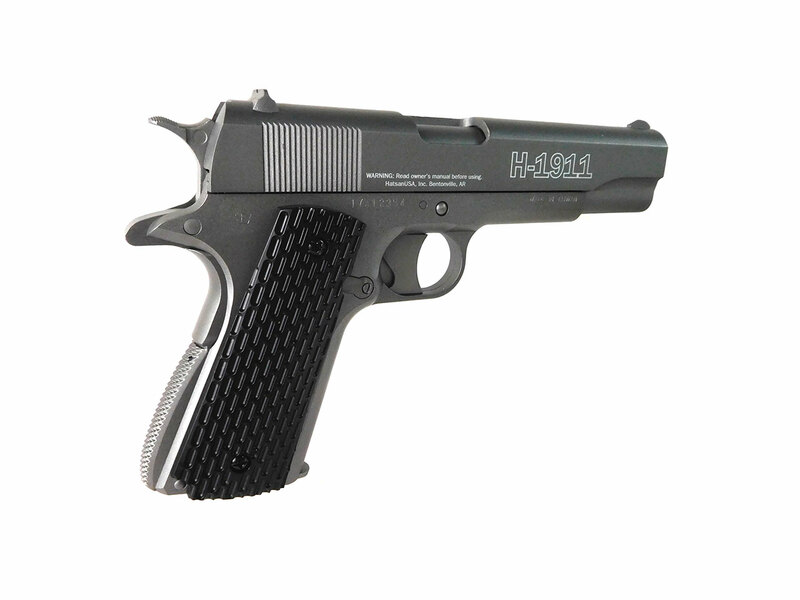 This gun is in excellent condition aesthetically. 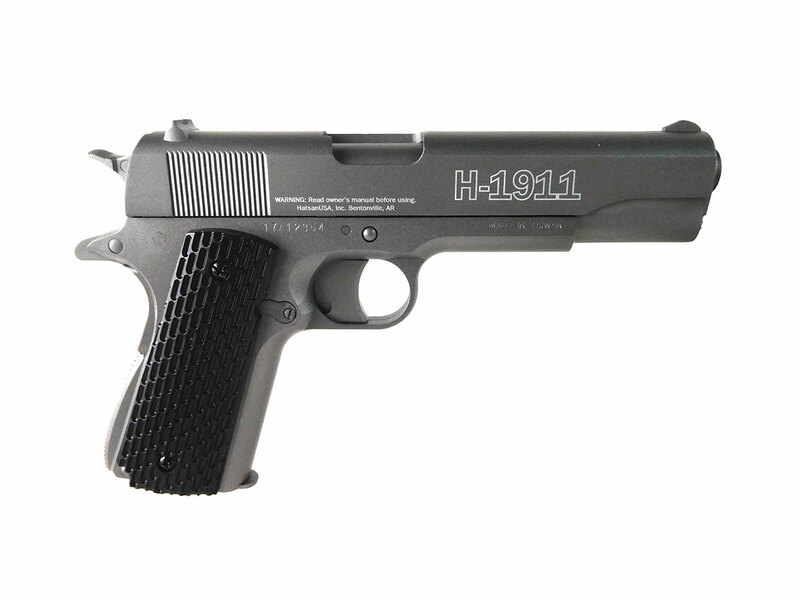 It works and shoots, but is being sold “AS IS” with no returns. Velocity tested at around 280 fps using lead pellets.